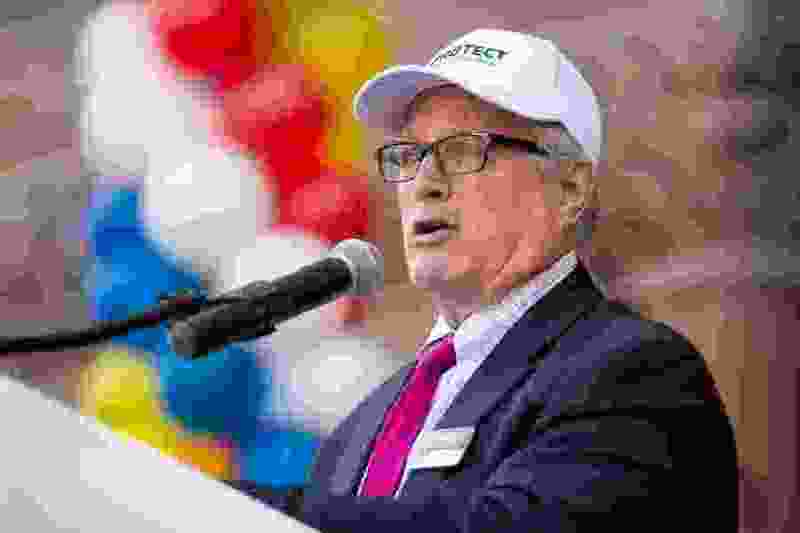 (Trent Nelson | The Salt Lake Tribune) Sam Young addresses a rally and march to the LDS Church Office Building in Salt Lake City to request that the faith's leaders put an end to bishops meeting one on one with youths for interviews. Friday, March 30, 2018. Sam Young is a Mormon on a mission. He wants bishops’ one-on-one interviews with Latter-day Saint youths to end. He wants the sometimes sexually explicit “worthiness” questions they are asked in these private sessions to cease. To propel his cause, he formed a group, Protect LDS Children, launched an online petition and led a march to church headquarters to deliver tens of thousands of supportive signatures. He even staged a three-week hunger strike to draw attention to the issue. This past Sunday, however, this former bishop appeared at a “disciplinary council” before his local lay leaders, who argue his actions have crossed a line by opposing not only church policy but also church policymakers. As he faces the prospect of excommunication, the question now is: Will Sam Young remain a Mormon on a mission? In this week’s podcast, Young discusses what took place at his hearing, how the accusations against him, to his mind, misinterpret his actions, why he undertook this fight, and why he will continue to work for change, preferably with the church’s help, whether he is in the faith — which is his hope — or out of it.